Received Alumni Achievement Award from there and WVU. He was commissioned as an U.S. Army officer in 1958. He served at the U. S. Army Missile Command, Redstone Arsenal, AL and U. S. Special Forces, Ft. Bragg, NC. In 1961 he transferred to the newly formed NASA’s Marshall Space Flight Center where he worked for rocket scientist Wernher von Braun. As a NASA public affairs officer, he worked with all the Mercury, Gemini and Apollo astronauts. In 1970, he was selected by Von Braun to be the first director of the Alabama Space & Rocket Center. Buckbee is the visionary who assembled and managed the world’s largest space and rocket exhibition and founder of the highly successful U.S. Space Camp and Aviation Challenge programs. 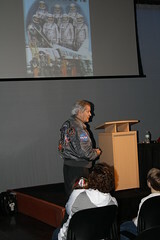 Under Buckbee’s management, the U.S. Space & Rocket Center and U.S. Space Camp programs grew to a $25 million business. Over 500,000 students and teachers from seventy countries have been inspired and motivated by attending programs Buckbee developed. Working with Mercury Seven astronauts, Alan Shepard, Wally Schirra, John Glenn, Deke Slayton, Gordon Cooper and Scott Carpenter, Buckbee conceived and developed the first exhibit telling the story of America’s astronauts at the U.S. Astronaut Hall Fame and Space Camp near NASA’s Kennedy Space Center, Florida. 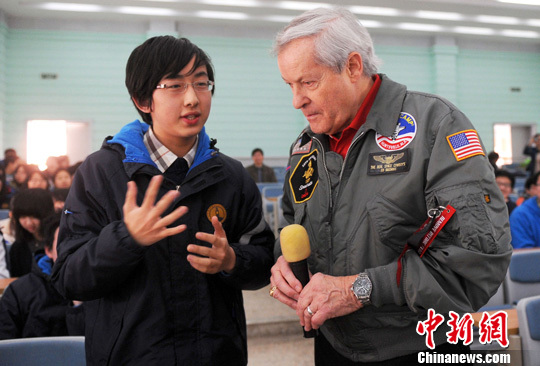 He started International Space Camp to promote international cooperation in space and successfully opened Space Camps in Japan, Belgium, Italy and Canada. Retiring from the U.S. Space & Rocker Center in 1994, Buckbee has produced and hosted numerous space anniversary events acknowledging famous firsts in human space flight, honoring astronaut John Glenn and moon walkers Alan Shepard, Alan Bean and Gene Cernan. 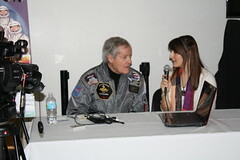 He organized and hosted the 30th anniversary celebration of the astronauts who flew on America's first space station, Skylab and served as the 2006 moderator of the Wernher Von Braun Forum at the U.S. Space & Rocket Center and the Flight Jacket Forum at the National Air and Space Museum. 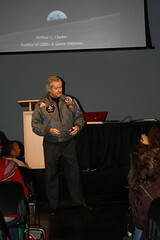 Buckbee, past president of the NASA Alumni-Huntsville, is the recipient of several national awards including the NASA Distinguished Public Service Medal, Department of Army Distinguished Civilian Service Award, Yuri Gagarin Cosmonaut Medal, National Space Club Media Award, Jimmy Doolittle Award, Wernher von Braun Space medal and Daughters of the American Revolution Medal of Honor. He has contributed to several publications, including, “50 Years of Rockets and Spacecraft in the Rocket City.” He collaborated with his long time friend, Wally Schirra, on a new book entitled, “The REAL Space Cowboys,” a tribute to the Mercury astronauts. 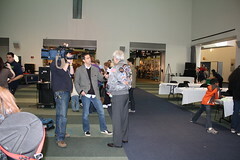 Buckbee served as technical advisor on “Space Camp”, an ABC produced motion picture released internationally in theaters and on video. A sought after spokesman and advocate for NASA and the exploration of space, Buckbee has appeared on CNN, Late Night with David Letterman, Regis and Kathy Lee, Good Morning America, Today, Discovery, History Channel, and BBC- TV. As president of Ed Buckbee & Associates, he continues to develop, promote and present programs to increase the public’s understanding of the U.S. role in technology programs. He strives to increase public awareness of the need to educationally prepare our nations’ youth to enter fields of emerging technology; thus ensuring the U.S. will maintain its leadership in human exploration of space and global technology.